Join us each Saturday for introductory prayers and Pesukei Dzimarah in Kohn Chapel at 9:00 a.m.
Our Saturday morning service in Ziegler Sanctuary, led by Rabbi David Wolpe, Cantor Marcus Feldman, Aryell Cohen, and our musicians, is a blend of music, learning, worship and celebration, renowned for its musicality and depth. The service begins at 9:30 a.m. with Shacharit, the morning service. We then continue with the Torah service, which includes the reading and studying of Torah, along with the celebration of our B’nai Mitzvah. The remainder of the service is the music-filled Musaf, followed by the inspiring sermon from our Rabbi. This service concludes by noon. The Torah has high expectations. We do too. Torah expects its followers to abide by 48 different levels of commitment. Some of those include: engaging in unhurried reflection, being persistent in study, and learning in order to teach. Singing, conversing, studying, and dancing with Torah shows commitment and dedication. Connecting to Torah is a relationship that takes work. Join us in Torah in the Round services to build your relationships—with God, Torah and each other. Led by Rabbi Nicole Guzik, in partnership with Rabbi Sam Rotenberg and Rabbi Andy Feig, we engage with Torah interactively in a musical, participatory service. Every member of our service is involved—reading Torah, leading text study, opening a home for Shabbat lunch, teaching a song, or giving voice to an issue. We are reflective, persistent, and committed—This is Torah in the Round. 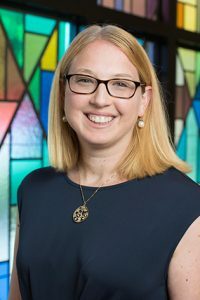 Contact Rabbi Nicole Guzik at nguzik@sinaitemple.org to sign up for her A Bisl Torah (weekly blog), or with any questions. Once a month, we invite the entire community to join Sinai Temple Religious School in a unique service brimming with energy, music and the love of Shabbat. 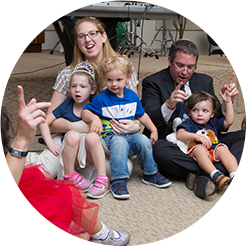 We encourage families’ participation to sing along with Rabbi Rotenberg, Rabbi Sherman and Danielle Kassin. Many of these Shabbats our students will read from the Torah. Following the services we have the opportunity to have the lunch sponsored by a family in our community. Recommended for families with Kindergarten – 5th graders. Sponsorships available. Please contact Danielle Kassin at 310-481-3271 or dkassin@sinaitemple.org. Sing! Dance! Art! Play! Gather on the ECC yard on the second Saturday of every month for a musical Shabbat service for our young families. ECC yard opens at 10:30 a.m., service begins at 11:00 p.m. Bring the whole family! Family Minyan is a warm, traditional, participatory service that is ideal for families, couples and individuals of all ages. We meet weekly beginning at 9:30 a.m. and we try our very best to be finished by noon. We celebrate Shabbat with joyful prayer in an intimate setting where families and friends can daven, learn and discuss Torah together. Children of all ages are welcome in Family Minyan and we encourage the participation of all of our upcoming B’nai Mitzvah students. We even have our own Family Minyan services during the High Holy Days! Since we are a lay-led community, we are always looking for volunteers to lead various parts of the service, read Torah or chant Haftarah. Family Minyan is led by Rabbi Erez Sherman with the support of our lay-leadership. Contact esherman@sinaitemple.org to add your email address to our list and receive our weekly Family Minyan Update (part of Rabbi Sherman’s weekly Honorable Mensch-ion blog). Please come and experience Family Minyan. We’re sure that you’ll want to join our family! 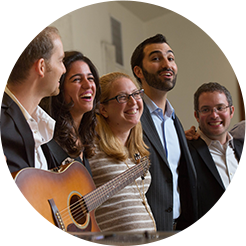 Building on the success of Friday Night Live, Shabbat Live is a monthly service that strives to engage the congregation with good music, challenging themes and inviting community. Led by Rabbi David Wolpe and Craig Taubman, Shabbat Live is made possible by the generosity of Brenda and Harold Feit.